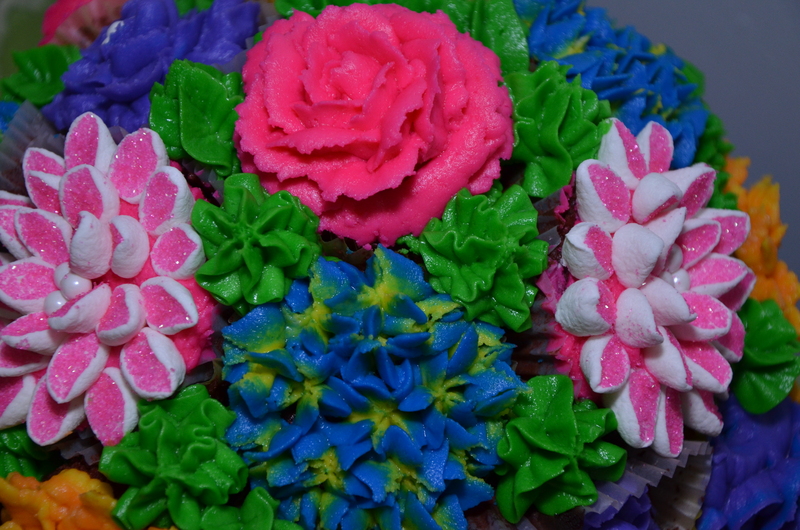 I recently had an order for a red velvet cake flower bouquet. 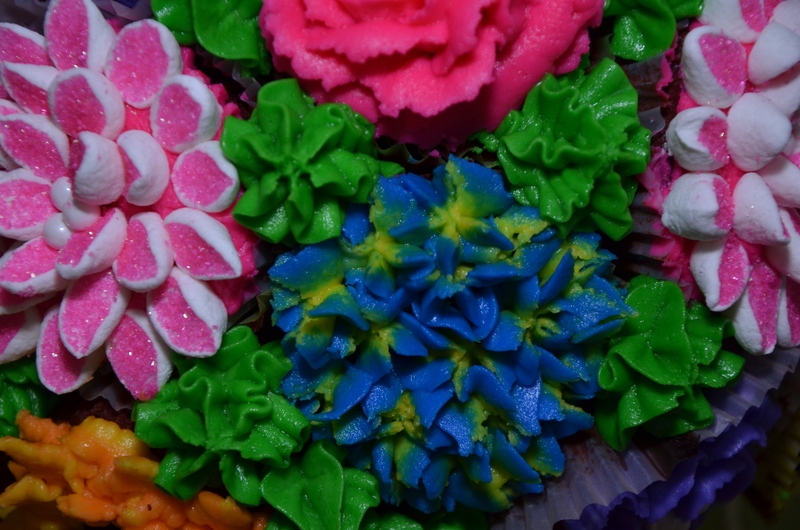 The icing is all buttercream, with the exception of the chrysanthemums, which are marshmallows. 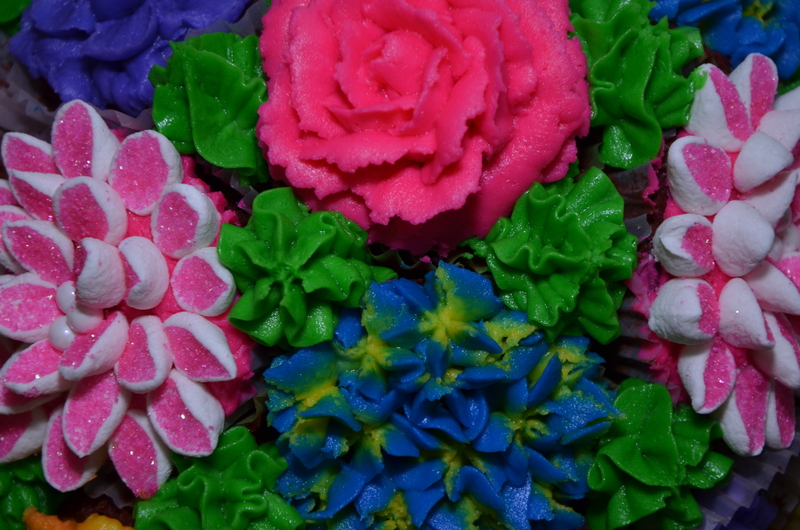 I would not recommend buttercream for a humid or hot day, but for a short period of time, these make a beautiful display. The Lord blessed, and I was very happy with the result. 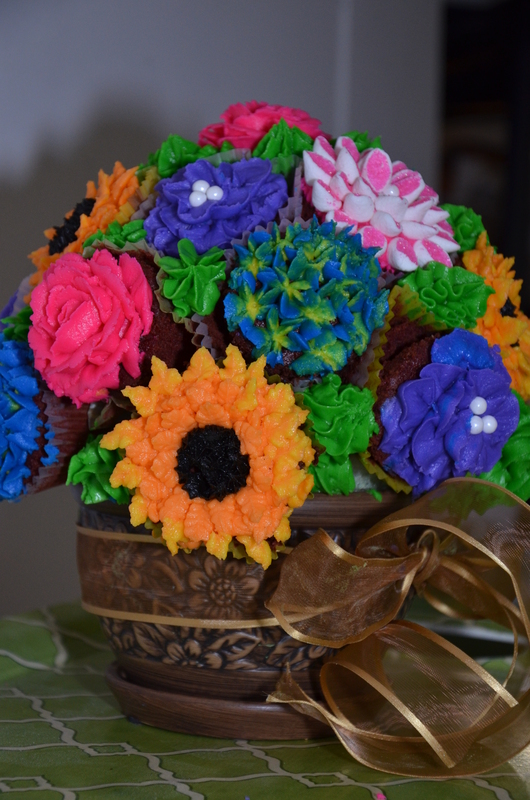 On information on how to order this bouquet, please select the following link: Gluten Free Cupcake Bouquet. « Win A Free Graduation Cake!